Happy Blue Friday and look for those Blue Angels! It’s that awesome time of year again when the Blue Angels fly into town and perform two air shows over the water. If you are a local, you have probably planned ahead, taken the weekend off work and counting down since last summer. So celebrate all things in BLUE on this Bluest of Friday’s in true Northwest style this weekend. 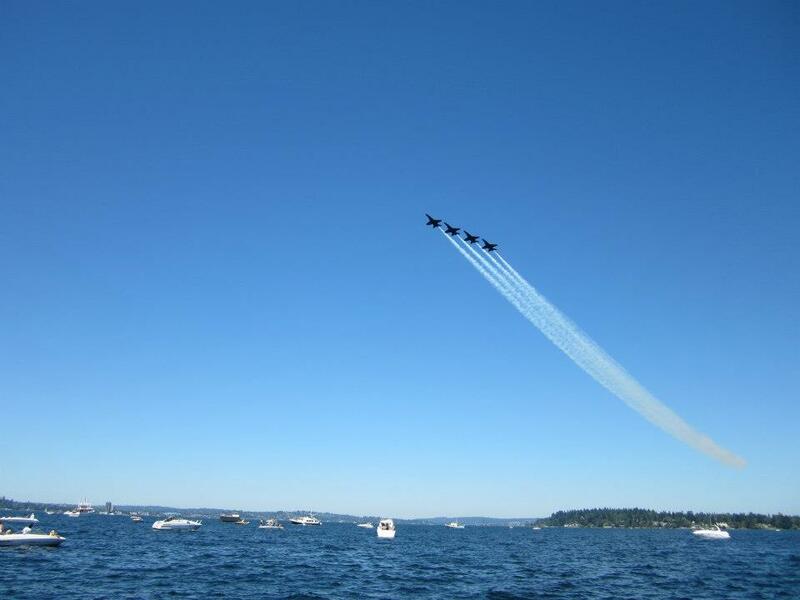 Head to a spot on Lake Washington* and watch the Blue Angels dive over all of us spectators on the water! I’ll be out there in the middle yelling and whooping it up!